Fox is pairing LAST MAN STANDING with its new comedy, THE COOL KIDS. 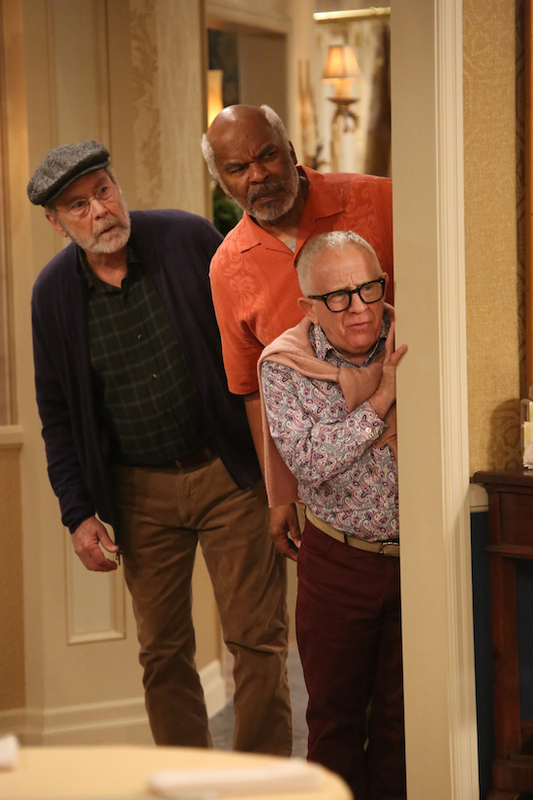 In the comedy, a quartet of friends—played by David Alan Grier, Martin Mull, Leslie Jordan, and Vicki Lawrence—are living their best lives in a retirement community. Fox’s take: “From executive producer Charlie Day (“It’s Always Sunny in Philadelphia”) and starring Tony Award nominee David Alan Grier (“The Carmichael Show,” “In Living Color”), Emmy Award nominee Martin Mull (“Veep”, “Roseanne”), Emmy Award winner Leslie Jordan (“Will and Grace,” “American Horror Story”) and Emmy Award winner Vicki Lawrence (“Mama’s Family,” “The Carol Burnett Show”), THE COOL KIDS is a multi-camera comedy about a rag-tag group of friends living in a retirement community who are willing to break every rule in order to have fun – because, at their age, what do they really have to lose. HANK (Grier) is the leader of this motley crew, a gruff, opinionated, 21st century Archie Bunker who will go to any lengths to have a good time. His loyal, but less than helpful, friends include CHARLIE (Mull), a bumbling storyteller who constantly goes off on tangents about some bizarre, barely believable episode from his life; and SID (Jordan), a naysaying, pill-popping hypochondriac who shoots down every scheme, but still gets roped in. Complicating matters is MARGARET (Lawrence), a brash, confident woman who forces her way into their group and refuses to leave because she’s not going to take crap from anyone – especially not these three. But what unites them all is their shared belief that they’re not done yet – not by a long shot. Growing old with dignity is for chumps. Our self-proclaimed “cool kids” are determined to make the third act of the lives the craziest one yet. Will you be checking out THE COOL KIDS on Fox?